We specialize in full service property management services to fit your needs as a landlord or home owner. We tailor our services to ensure that you have the highest level of service for your home. We treat your home as our own. Let us prepare a complete Rental Analysis on your property. We can manage the complete Rental process for you, including: advertising, tenant screening, collecting rent payments and managing your maintenance. Contact us today for a complete list of property management services in the Wilmington NC, Hampstead NC and other surrounding areas. 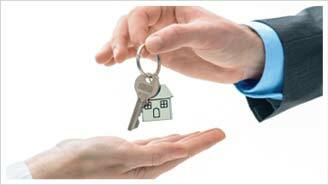 We also offer tenant placement services to help you find the perfect rental home. Whether you are looking for a single family home, townhouse, condo or apartment, we will have one of our dedicated team members work with you to find the best home for your needs. Start your search today by viewing our current homes for rent and by inquiring for more information. Currently, vacant properties may be viewed by checking out keys at our office. 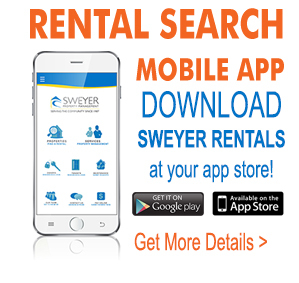 Sweyer Property Management is your #1 resource for rentals, apartments, houses for rent, and property management in the Wilmington NC, Hampstead, Carolina Beach, Kure Beach, Wrightsville Beach, Castle Hayne, Rocky Point, Leland, Winnabow, Holly Ridge, Sneads Ferry, Surf City and surrounding areas. Since opening our doors in 1987, we have provided Wilmington, NC with expert real estate sales and service. We realize how important your property investments are to you and believe you deserve a property management company that can provide you with the very best service possible. We are a member of the National Association of Residential Property Managers. We have 17 licensed brokers and 21 employees that are available to serve our owners and residents. Your opinion matters! We always encourage feedback from our owners and residents. We strive to provide our owners and residents with excellent customer service and satisfaction.